Dashing hopes of imminent Palestinian Authority control over the Gaza Strip, Palestinian President Mahmoud Abbas said that reconciliation between Fatah and Hamas will not materialize before national elections are held next year. Speaking to journalists in Cairo on Sunday following an international donor conference that pledged $5.4 billion for the reconstruction of the Gaza Strip, Abbas said that Hamas continues to wield de-facto control over the coastal enclave that it took over by force in 2007. Hamas and Fatah jointly appointed a unity technocrat government in June, ostensibly ending seven years of political strife. According to the reconciliation agreement, the government was tasked with preparing for nationwide elections within six month, a timetable delayed by the Gaza operation. 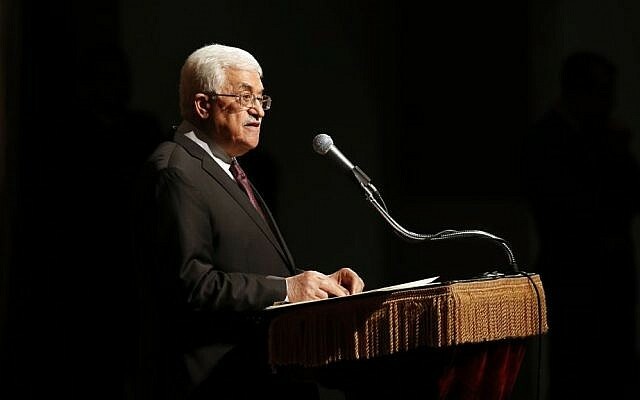 But Abbas had a falling out with Hamas over the summer, when two members of the movement abducted and killed three Israeli teenagers in the West Bank, sparking a powerful Israeli crackdown throughout the PA-held territories. At the same time, Israeli intelligence revealed information pointing at a Hamas plot to overthrow Abbas and instigate a third intifada, or violent uprising, in the West Bank. In his message to the media, Abbas asserted that the Palestinian government would take full control of Gaza reconstruction money, and that “no faction or party has the right to receive these funds,” a clear allusion to Hamas’s ambitions to reap the political benefits of reconstruction. “The international community and the donor states have high confidence in the performance of the Palestinian Authority,” he said. ِAbbas’s comments were received with rage by Hamas. Salah Bardawil, a Hamas official in Gaza, said that the Palestinian president was clearly “not serious” about the need for national reconciliation.